These are original 'Screws, Spring, Bolt Locking', for the SMLE, Rifle No1 Mk III & III*, or as they are probably better known 'Safety Catch Screws'. 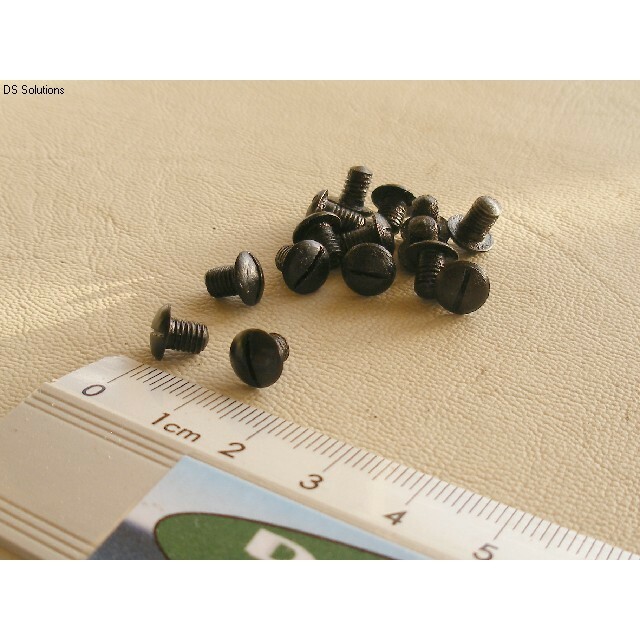 These screws are for retaining either the Mk1 (Dumb-bell) safety catch spring, or the later flat Mk2 pattern. The screws are in new and unissued condition and have been stored in heavy grease so once cleaned off they are just as they came off of the production line. They are mostly finished in a chemically blackened finish. 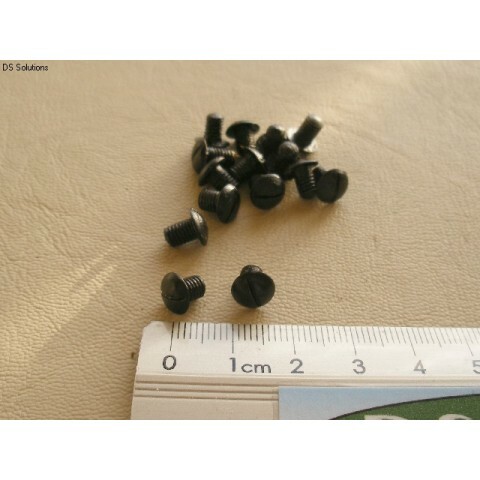 Unit of Sale; 1 screw.